Well, well, well, here is yet another Jeunesse top earner. I have written about CiCi Weller and now it is Jason Chiang turn at the podium. 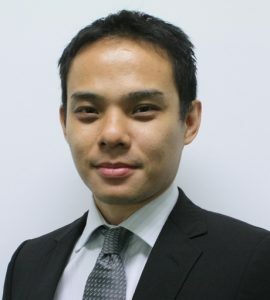 Jason Chiang is a Double Diamond with Jeunesse International who makes close to $95,000.00 a month in residual income. Jason Chiang is associated with the Jeunesse Taiwan market, and his personal story is one of triumph. In 2009, Jason became very ill. He had stomach ulcers and vertigo. He had a high fever, and his white blood cells shot up to 40,000. In addition to all this, Jason suffered from osteoporosis. He was given only six months to live. Jason says that he wasn’t ready to end his life at the age of 50. During this time, he was introduced to the Jeunesse network marketing business. He started using the products, and six months later, he went to see the doctor to take some tests. The doctor was shocked to read the test results; Jason was healthy. He even asked the nurse to check to make sure the results were indeed Jason’s. When the doctor asked him what he took, Jason told him. Now, the doctor is a close friend of his. Jason tells his testimony everywhere he goes about how Jeunesse Global changed his life. Besides being a millionaire entrepreneur, Jason also mentors and is a business coach. He wants to show others how to get the financial and time freedom he enjoys. I like showing people how to change their lives as well. You can find out for yourself by scheduling a quick call with us! 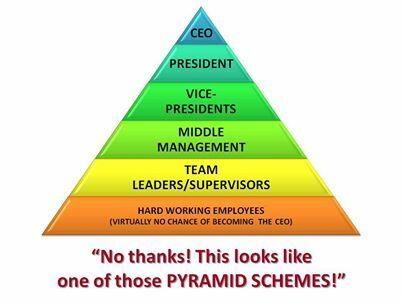 With so many Diamond members, the Jeunesse MLM business is becoming a regular on my blog. Jeunesse was founded by Randy Ray and Wendy Lewis. It has offices around the world, from Africa to Asia to Europe. There are two ways to earn money with Jeunesse. You can earn commission from retail sales, and you can earn bonus money when your loyal customers sign up to become a Jeunesse associate. As I have said before, Jeunesse sells health and wellness products, in particular items that fight anti-aging. Additionally, this network marketing company offers nutritional supplements. The most popular products at Jeunesse come from the Luminesce line. These products are meant to be used at different parts of the day. Containing an innovative growth factor, these products promote healthy skin cell growth on your face. Basically, you regrow new skin cells while getting rid of the old ones. The special ingredient in the Jeunesse products is something called adipose derived adult stem cell conditioned media. It is a growth factor complex that is said to encourage the growth of young skin cells to fill in wrinkles and fine lines. The prices for the Luminesce products range from $45 to $135. The next popular line is Instantly Ageless. This product is said to reduce the look of aging on your skin. It works similar to the Luninesce products, however, this one is referred to as a microcream, which is supposed to fill in the wrinkles and fine lines on your skin. Some folks call Instantly Ageless Botox without the needles. The main ingredient is argireline, a peptide that has been compared to Botox. The nutritional items are not as popular as the anti-aging products. While Jeunesse products are pricey, they claim to do much more than any other health and wellness items in the industry. They target your DNA and boost growth at the cellular level. There aren’t too many other creams that accomplish this. I don’t know how true this is, but there are claims that Jeunesse operations are not on the up and up. There are allegations of backroom deals in which Jeunesse brings in top MLM earners and their teams from other multilevel marketing companies. If this is true, it is a true misrepresentation of the company, especially to new distributors who think these folks started off at the beginning like everyone else. Then, there is this description of the compensation plan. It states that you don’t earn money until you recruit people on the left and right. Doesn’t this sound like the definition of an illegal pyramid scheme?